Most travelers in Florence come to the Basilica di Santa Maria del Carmine to visit the famous Brancacci Chapel, frescoed by Masaccio and Masolino and considered one of the first works of painting of the Renaissance, that influenced generations of artists. Someone else makes it to the Basilica di Santo Spirito, not even knowing that few steps away they can find the Basilica di Santa Maria del Carmine. 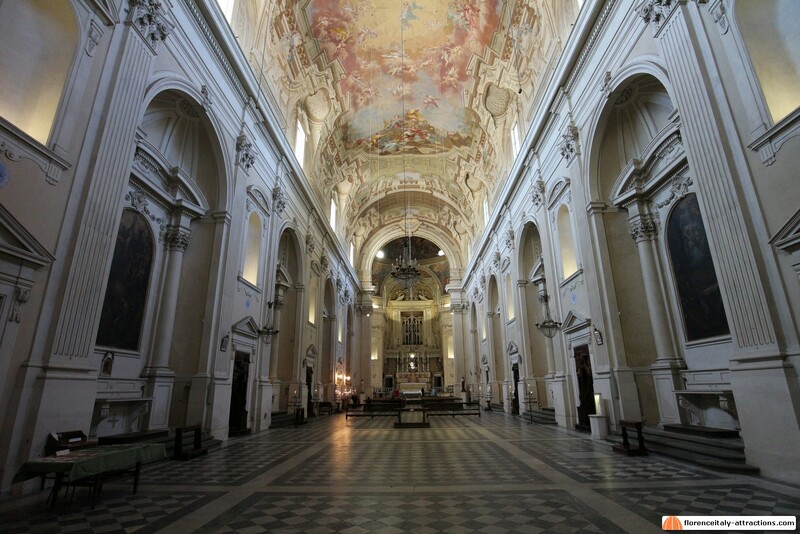 You’re missing out on something very interesting, not only for the gorgeous Brancacci Chapel, which has a different entrance and involves buying a ticket, but also for the church itself which is free and represents a very nice hidden attraction. Seat of the Carmelite order in Florence since the 13th century, the Basilica di Santa Maria del Carmine has been originally built in 1268 but renovated many times, including the latest intervention in 1782 that made it a rococo style basilica, after it was destroyed by fire in 1771. That’s what makes the Basilica di Santa Maria del Carmine unique: you won’t see any other example of rococo church in Florence. 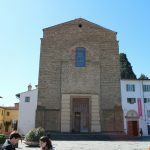 Outside the church is not very attractive, with the unfinished facade, inside it has several works worth a look, mainly the Corsini Chapel, in the left transept. The Corsini family was one of the most important in Florence during the 17th and 18th centuries. A member of the family, Andrea, became a saint of the Catholic church in 1629; in 1730, Lorenzo Corsini became Pope Clement XII. 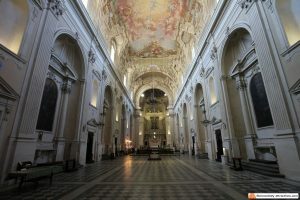 Of course, the Chapel celebrates the Saint, and it’s a great example of Florentine baroque, with a redundant decoration. On the right transept, you can admire the Brancacci Chapel, but you can’t get close enough to see the particulars of the frescoes. For that, you have to exit the church and enter on the right of the facade. The visit is reserved to maximum 30 people at a time and you cannot stay more than 30 minutes inside. To avoid problems, you better reserve your visit to the Brancacci Chapel.